Wit h all the international football that is taking place this weekend, there is just room in the English football calendar for fixtures in League One and League Two. While all the focus will be on England’s trip to Sofia to take on Bulgaria, the 24 fixtures across League One and League Two offer punters plenty of chances to make some profit. You can read about our best bets in League One here but in League Two we fancy Rotherham to stick another nail in Paolo Di Canio’s Swindon career, Burton Albion to defeat the striking Plymouth and Morecambe to continue their strong start against Bradford. Combine all three games in a treble and you can get around 9/1 but there’s nothing to stop you combining the international and League One fixtures with the League Two games. Sky Sports’ only televised domestic game this weekend is one to look forward to as League Two table toppers Rotherham travel to Swindon. 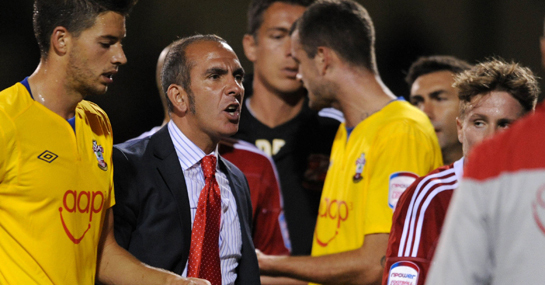 Paolo Di Canio hasn’t enjoyed the best start to his career as Swindon manager and defeat on Saturday would leave Di Canio hanging by a thread – and the Italian may want to start searching for a new job. Rotherham are yet to lose in the league this season and having scored 15 goals in six games this season, a Swindon defence that has conceded nine goals this season isn’t going to stop them. With the Plymouth Argyle players preparing to go on strike this weekend, Burton look a sure fire bet at 4/5 against what is likely to be a very young Plymouth side. With home advantage Burton should have the advantage against the side that currently sit bottom of League Two and the strike threats will not help Plymouth’s cause. Morecambe are flying high in the league and having scored nine goals in their last four league games, are proving a handful for opposition defences. Bradford have been a lot stronger defensively on the road but the five goals they’ve conceded at home is a worry and Morecambe should be too strong on Saturday.